Available on any blanket. 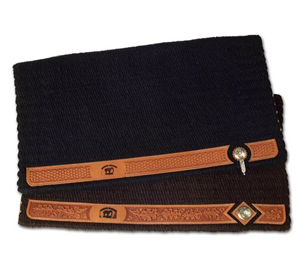 Top blanket Is Solid Black w/ Concho and Tip. Bottom is Hershey's Dark Chocolate w/ Diamond Cutout and Concho for Lyle Lovett.